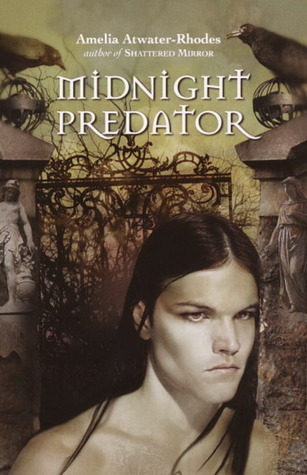 Today’s #friday56 post is from #midnightpredator by #ameliaatwaterrhodes . I swear, she is #writergoals for me! Have you read any of her #books ? Which is yourfavorite if so?! Though she was once a happy teenager with a wonderful family and a full life, Turquoise Draka is now a hunter. In a deadly world of vampires, shapeshifters, and mercenaries, she’ll track any prey if the price is right. Her current assignment: to assassinate Jeshikah, one of the cruelest vampires in history. Her employer: an unknown contact who wants the job done fast. Her major obstacle: she’ll have to hide her strength and enter Midnight, a fabled vampire realm, as a human slave. . . .
Are you participating in #Friday56 ?! Link me below if you are, or find me on instagram at betwixtthesepages ! Thank yoooou! I REALLY LOVE IT, TOO–suuuuuch a great spur of the moment idea, I’ve been patting myself on the back all day and continuing to perfect it.. It’s gonna be SO COHESIVE oh my penguins! Oh, I LOOOOOVE the author so much–she always has the most unique world-building and her books always bring up some heavy-handed subjects without it being obvious that’s what she’s doing! Sounds so different a read. Could be a good thing. 🙂 Have a great week ahead!